LPGA Teaching and Coaching Professional Marissa Kulig Crow is planting the seeds that are moving the needle in helping to grow the game. Based at Lyman Orchards, Connecticut, centrally located between Hartford, New Haven and Waterbury, Kulig Crow has in 6 years built the most successful women’s program in the northeast and one of the biggest in the United States, with more than 600 women attending her program in 2018. 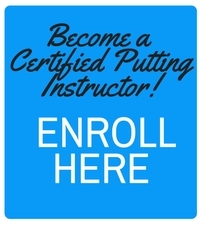 Recently qualifying as a Frankly Certified Putting Instructor (CPI) she looks to help more women putt better and build on her success. “The CPI Course had great information. I really liked the structure. The way it was broken down was clear and simple. It delivered the what, how and why of putting. “It exceeded my expectations. 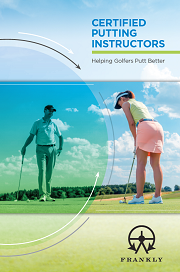 The way it was laid out made sense and it will allow me to quickly assess and diagnose my students during putting lessons. Kulig Crow looks forward to sharing her new expertise at Lyman Orchards which is also an LPGA USGA Girls Golf facility, which means that what she has learned as a CPI will have even greater impact. “I am proud of the womens program I have created here. In only a few years we have built the program to attract 600 students each season. “Fitting of the putter is important and I was pleased that the CPI Course gave me information on how to fit, which makes me excited about doing more putter fittings because many women’s putters are too long. CPI Kulig Crow with some of her women’s group…. Kulig Crow started learning golf at 8 years old from her father and grandfather, who were very good amateur golfers. At that time there weren’t many opportunities for girls in golf and as a result Kulig Crow played on the boys high school team. Times have changed, with many more opportunities for girls playing the game Kulig Crow sees the potential of women’s golf in the growth of the game, sharing her passion and enthusiasm for golf. “What I am doing at Lyman Orchards is proof that women’s golf is growing. And when the student leaves after a lesson with her, Kulig Crow has a specific goal in mind.